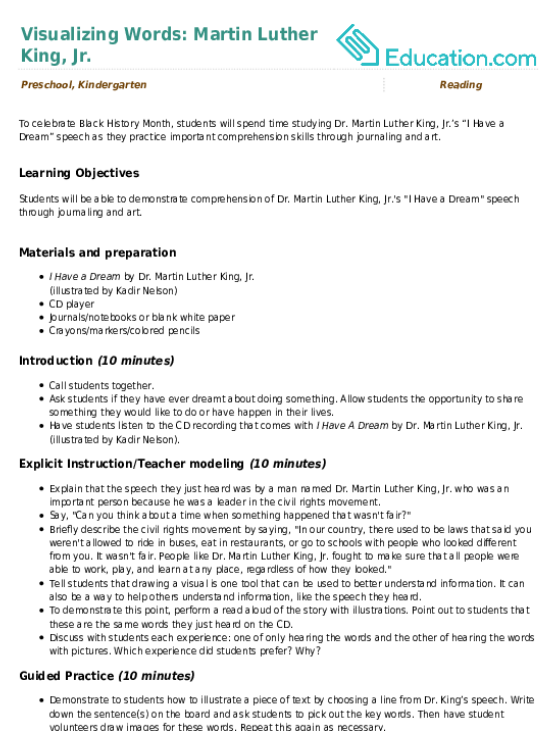 This Martin Luther King, Jr. coloring page will help preschoolers celebrate the American hero! Preschoolers can pay tribute to MLK by coloring in this mandala featuring his image and famous words. 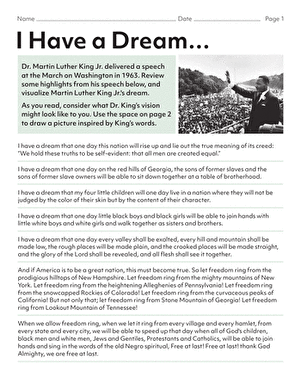 Martin Luther King, Jr.’s “I Have a Dream” speech as they practise important comprehension skills through journaling and art. Martin Luther King fought for the civil freedoms of all people during the Civil Rights Movement, and his birthday is a celebration of those freedoms. Here's a fun mandala for your preschooler. It's a perfect coloring page for St. Patrick's Day or any day to talk about folklore and Ireland! 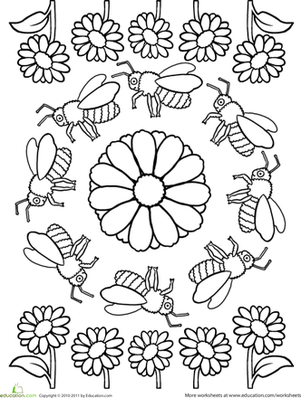 This springtime mandala is filled with buzzing bees and blooming flowers. Colour in the shapes that make up this mandala to create a fun and modern work of art!